Environmental chambers evaluate product quality and reliability and identify manufacturing flaws and weaknesses in those products before they are released to the general market, or used in the manufacturing of other products. Industries such as consumer, medical, automotive, aerospace, and construction use thermal shock chamber testing to ensure the reliability of their products. Thermal shock causes cracking or faulting along lines of stress as a result of the conflict between uneven element expansion and compression according to relative temperature. As one section cools or heats faster than another, the pressure placed on a material becomes greater than the strength of that material and a crack is formed. These cracks can be severe enough to cause structure failure. Glass and ceramics are particularly susceptible to thermal shock damage due to their low thermal conductivity and their tendency to expand and compress unevenly, and so test chambers are an important part of the manufacturing process for products and structures using these materials. The design and construction of test chambers need to be executed to specific considerations to ensure the most accurate test results. Thermal shock chambers need the capacity to alter temperature at an uneven rate to accurately reproduce conditions found in the environment. 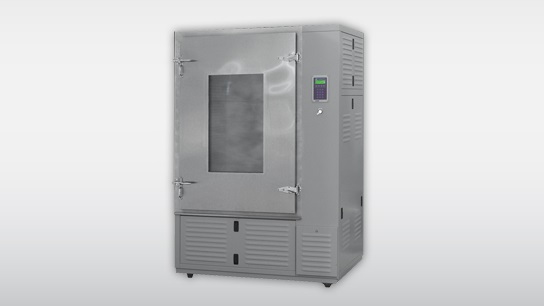 The chambers typically have two compartments that are set at differing temperatures and the test object is then quickly transferred between the two compartments, causing the thermal shock. Strict control during the process will yield the most accurate and useful results from the tests. Thermal chambers utilize liquid or air to create temperature variances and objects can be alternately immersed in non-toxic, noncombustible, and low viscosity liquids at extremely different temperatures, or between compartments maintaining different air temperatures. Sometimes, an intermediate step is required between the temperature extremes in which a product experiences a brief moment of room temperature. This is known as three-zone thermal shock. The suitability of the testing method, either in liquid or air, will depend on the intended final use of the product or material being tested, and the capability of the thermal shock chamber being used. Testing can take many hours and can be a costly procedure depending on the size of the object and the process undertaken, yet it is a wise manufacturing choice to undergo thermal shock testing, especially in terms of long-term expenditure and future benefit. 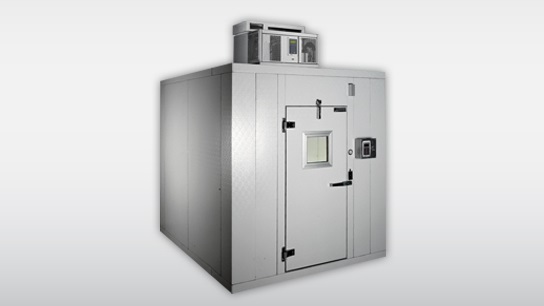 Thermal Shock Chambers Thermal shock chambers are used to replicate the conditions of sudden and drastic changes in temperature in order to test the capability of a product, material, or part component to withstand the resulting stress and strain.